Every two years, my Vietnam combat platoon from the 2nd of the 27th Infantry Wolfhounds, 25th Infantry Division, has a reunion. 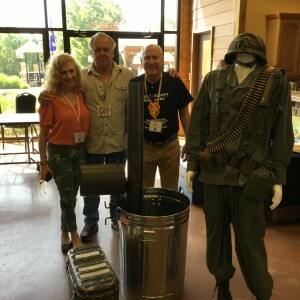 This past year, Big John, a sergeant in my platoon, and organizer of the reunions, has been interviewing surviving members of the platoon from Vietnam 1969-1970 era. The web site is: (http://wolfhounds2nd27th.org/wolfhounds-forever-interviews). Check out the interviews from the guys who were in the thick of it.